Añade artículos por valor de al menos 10,01 TL a la cesta para obtener tu descuento. ¿No estás en Turquía? Elige la librería de tu país para ver los libros que puedes comprar. 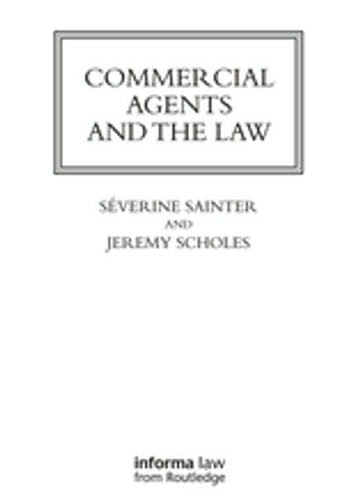 Commercial Agents and the Law is a practical approach to the modern law relating to commercial agency agreements, a complete guide to the workings of the relationship between commercial agents and their principal within its domestic and European context. This book is a complete guide to the workings of the relationship between commercial agents and their principal within its domestic and European context. 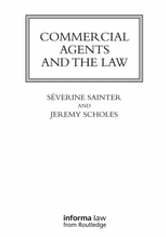 The common law rules governing the relationship between principal and agent were pretty well established and well understood by English lawyers when, in 1993, the Commercial Agents (Council Directive) Regulations were enacted. The 1993 Regulations implement EC Directive 86/653 on self-employed commercial agents. The 1993 Regulations, like the EC Directives, are not, however, a complete code of rules governing the relationship, so they have to co-exist with the pre-existing common law rules. Both sets of principles therefore have to be applied.